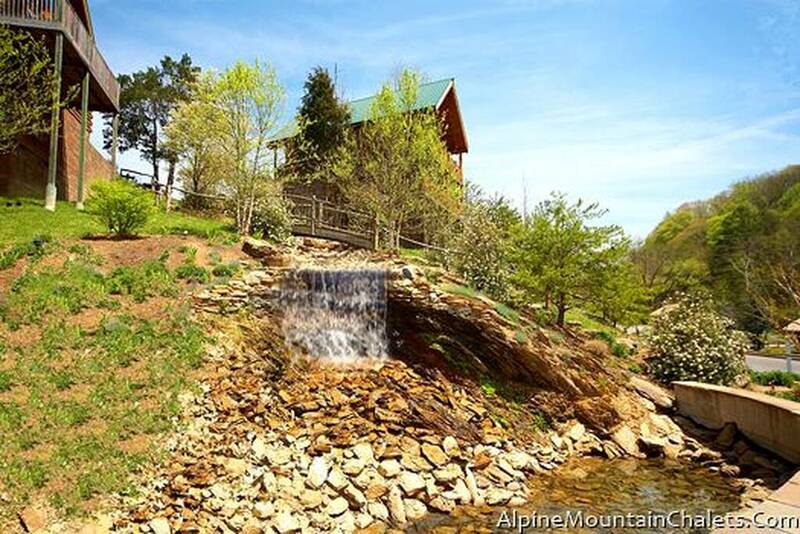 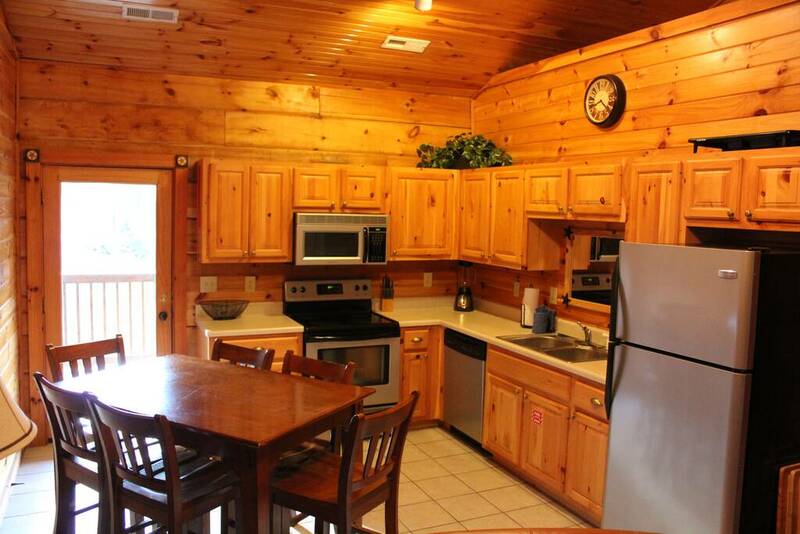 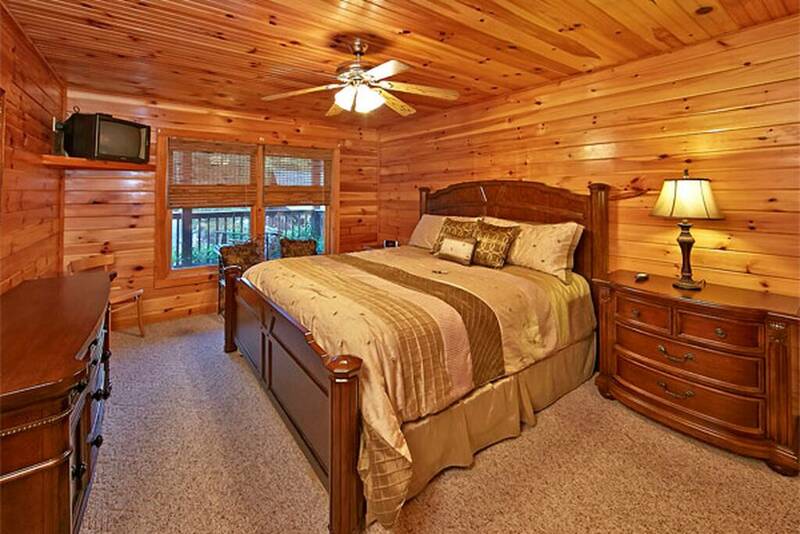 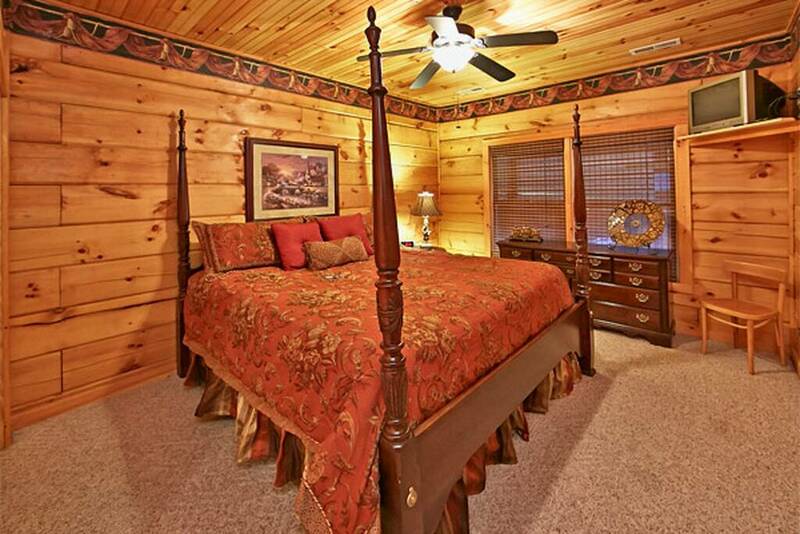 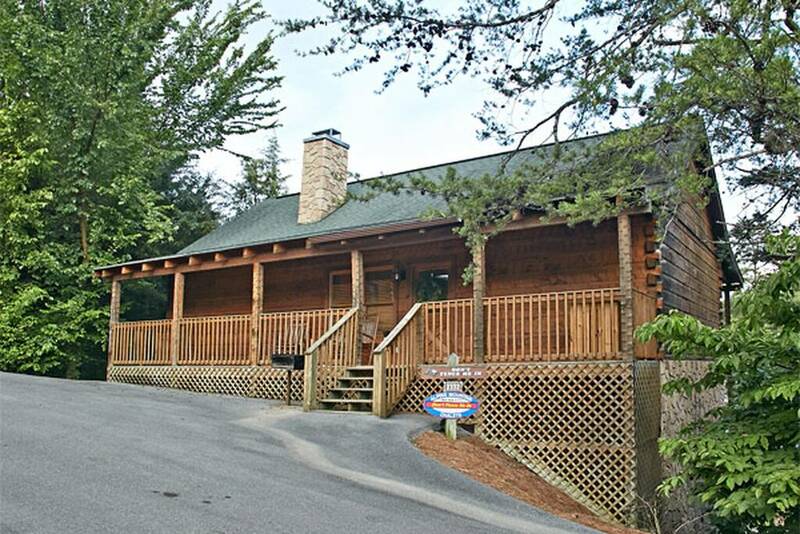 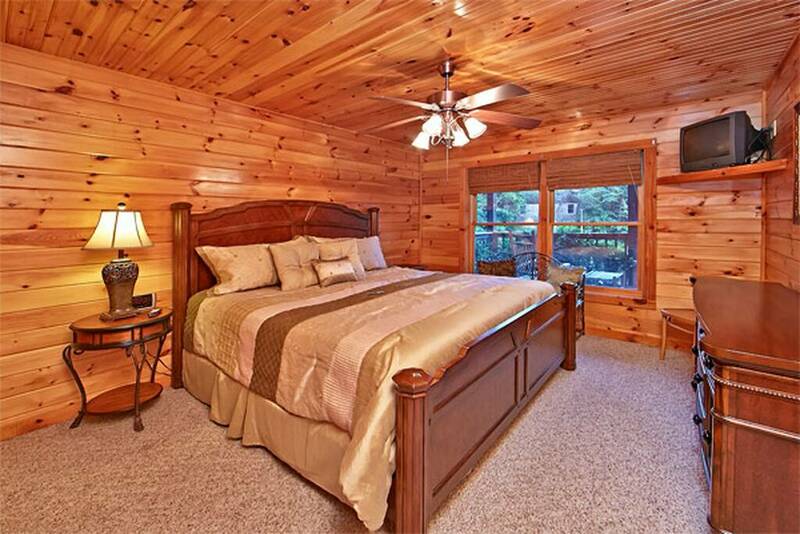 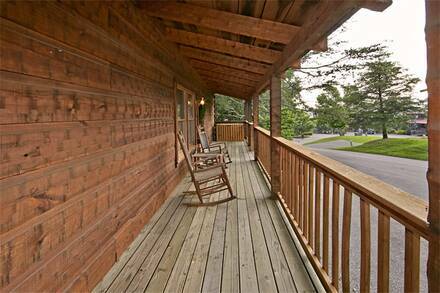 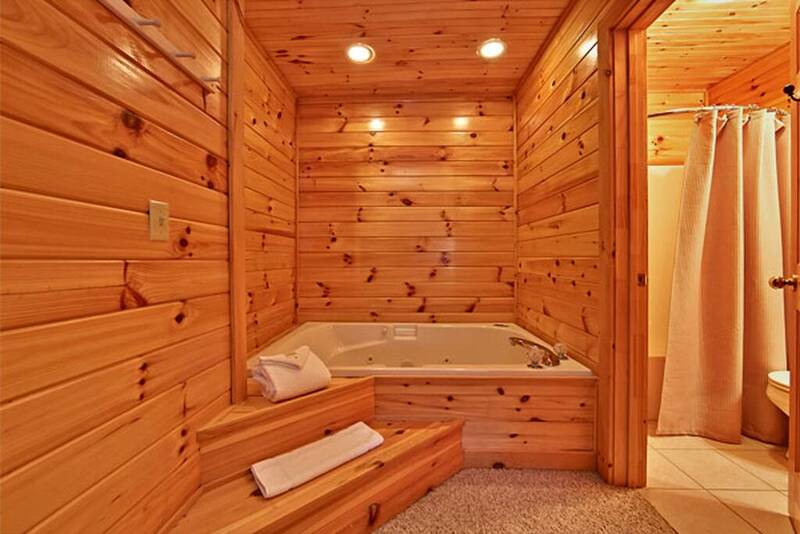 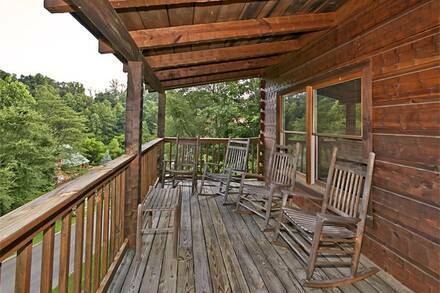 With large bedrooms, front and back porches, and entire resort to enjoy, no one will feel obligated to say “Don’t Fence Me In” in this four-bedroom large cabin in Pigeon Forge. 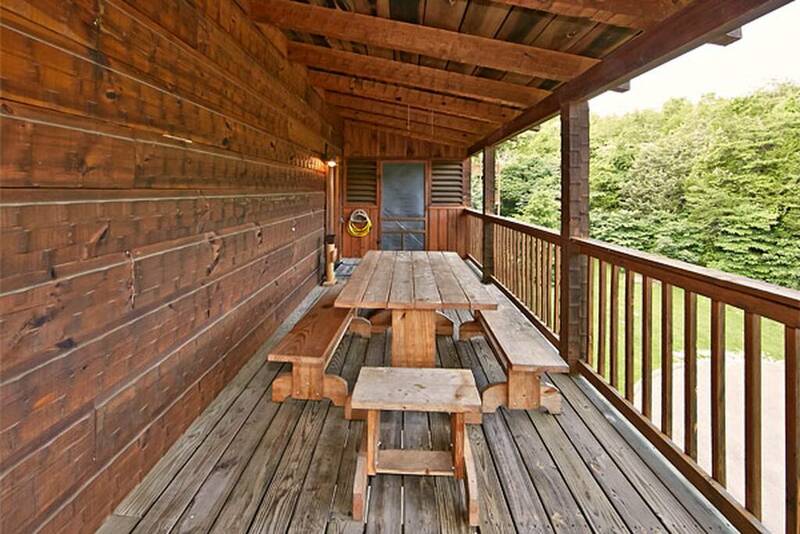 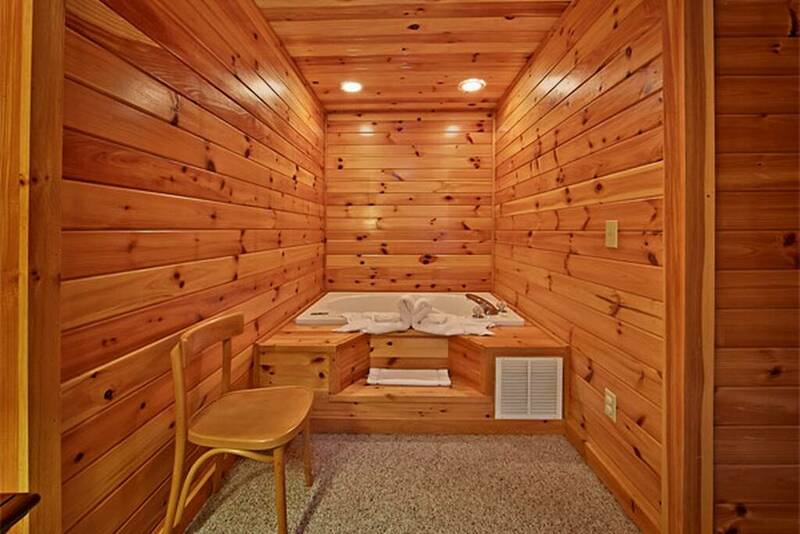 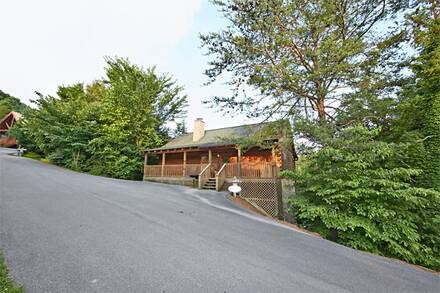 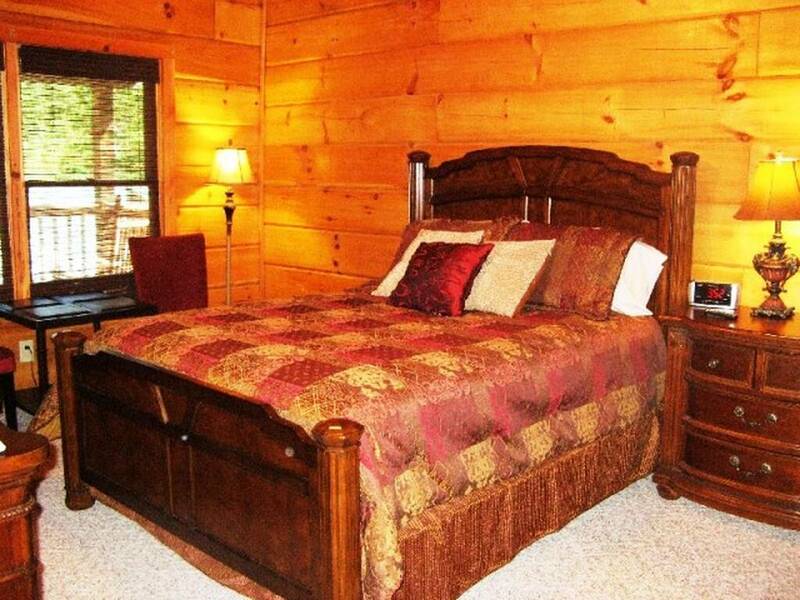 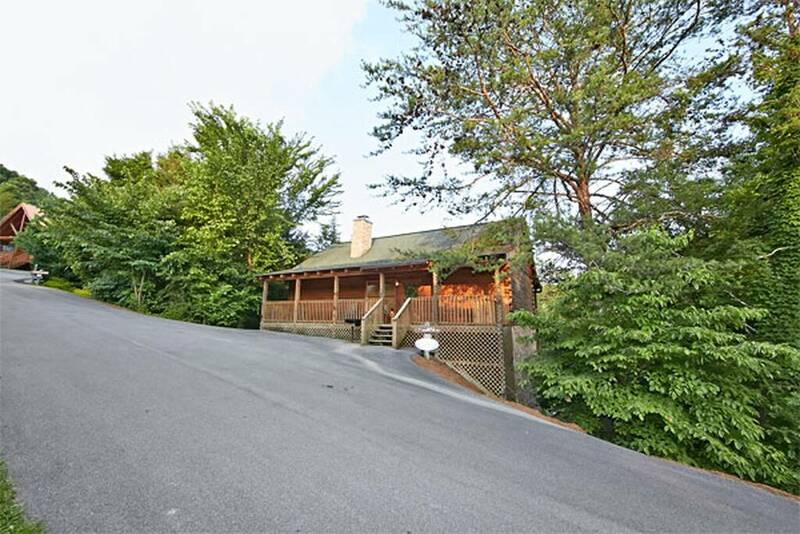 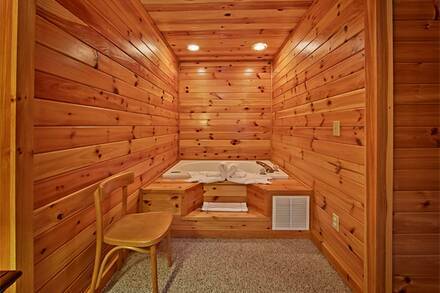 Four bedrooms offer plenty of privacy and this cabin is conveniently located only a few minutes away from amusement parks, outlet malls, and the Greay Smoky Mountains National Park. There are quite a few large cabins in the Smokies, but few offer two king master suites and a third bedroom with king-sized bed. 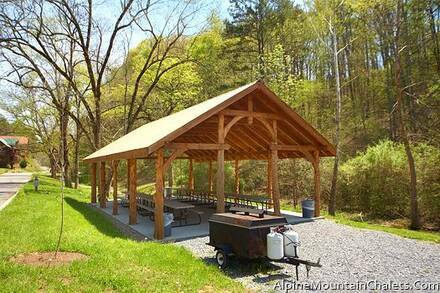 This setup makes it an ideal location either for a large family getaway or for a group of friends or couples. The main level contains two bedrooms, one with king bed and the other king, while the suites are downstairs. Both rooms have classically-styled decorations and furniture, plus full bathrooms with jacuzzi rooms. 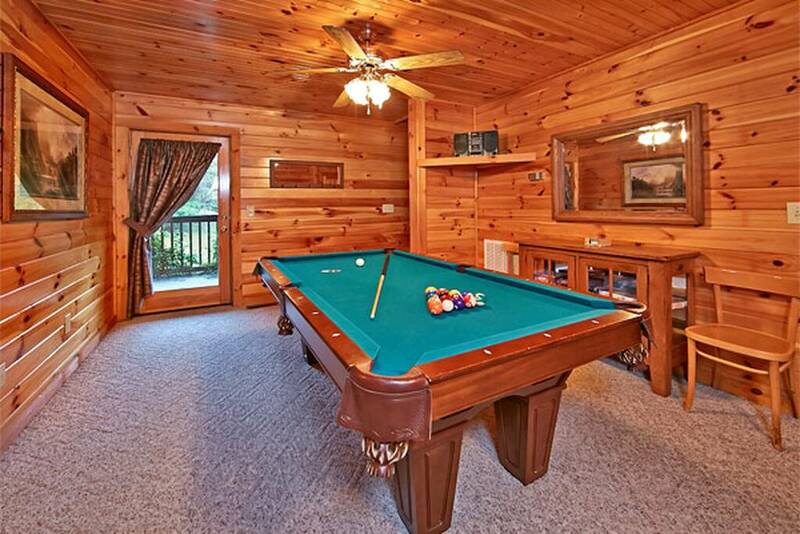 Between them is a game room with full-sized pool table, queen sofa bed, television, and board games. 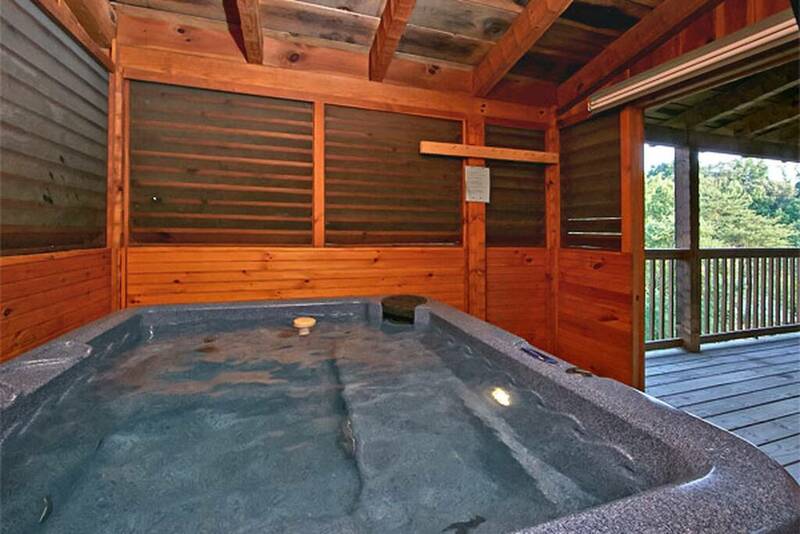 It also has access to the lower of two decks with a screened-in hot tub, while the second deck has porch swing and wooden rocking chairs. 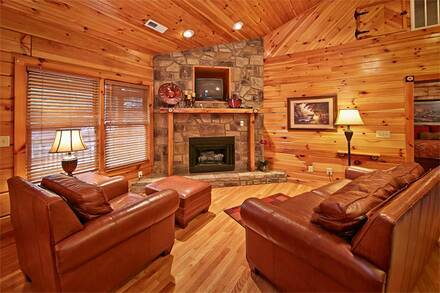 There are two lounges, one on each floor. 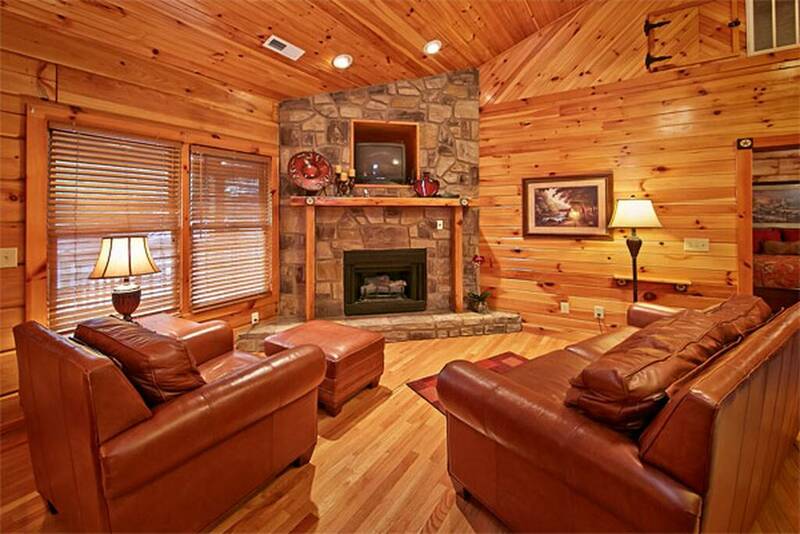 The main living room has a large fireplace that makes quite a statement, with a wide wooden mantelpiece and comfy leather chairs beside it. 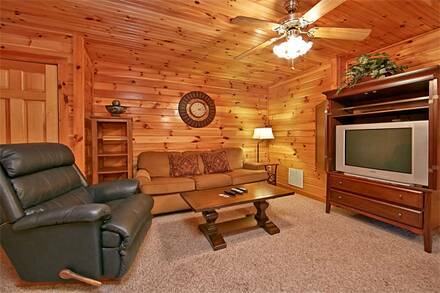 Downstairs, a recliner and sofa surround a wide-screen television with cable. 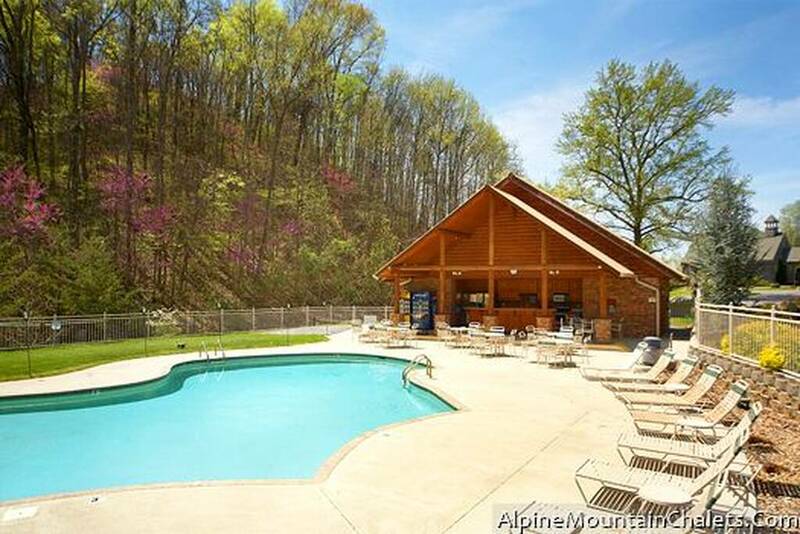 As part of the Alpine Mountain Village, guests have access to a large pool in summertime, with plenty of sunbathing chairs as well. Stretch your legs while walking the resort’s trails, which taken in a mountain brook and waterfall. The covered pavilion is a great place to have a picnic and, with a full kitchen and charcoal grill in your cabin, you can save money on eating out as well. 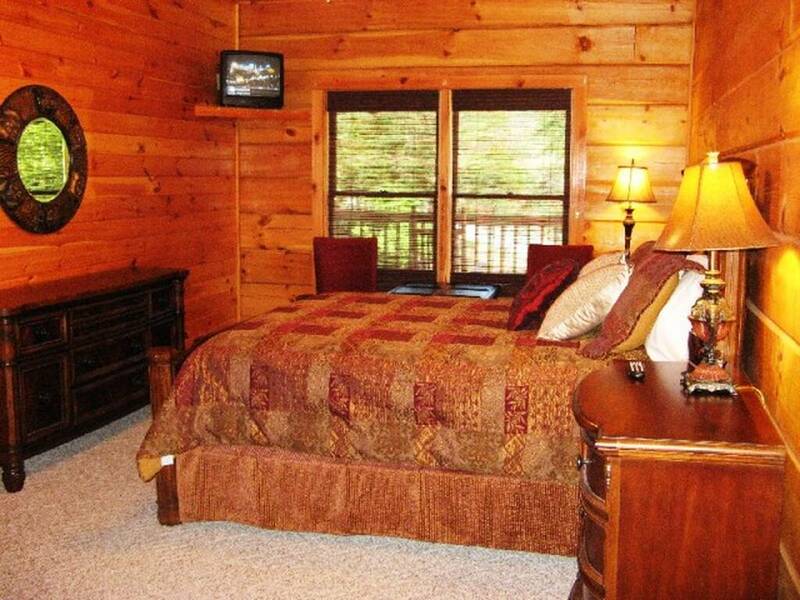 Book this family-friendly cabin today and plan days out to the attractions in Gatlinburg, outlet malls in Pigeon Forge, and access to Cades Cove and the Smoky Mountains!